This beautiful 1971 MG B Roadster has had thousands in spent in restoration of the last few years. Everything has been done, as you can see from the picture’s. The Engine has been completely rebuilt with all new gaskets, new radiator, ignition system, Pancake air filters with MGB Cover, New Alternator and many other new parts! Also with the addition of a power steering conversion! This was really a no expense spared restoration. Covering barely a 1000 miles since work has been carried out. There is not any rust on this car whatsoever, always garaged and never used in the rain. This is a car you just get in and enjoy, it wants nothing, ALL the work has been done and we have receipts totalling to over 15k. Black and cream, In my opinion, it doesn’t get better than than this. Please see all the photo’s above as we have many of underneath the car to show the extent of restoration carried out and the various new parts that have been fitted. 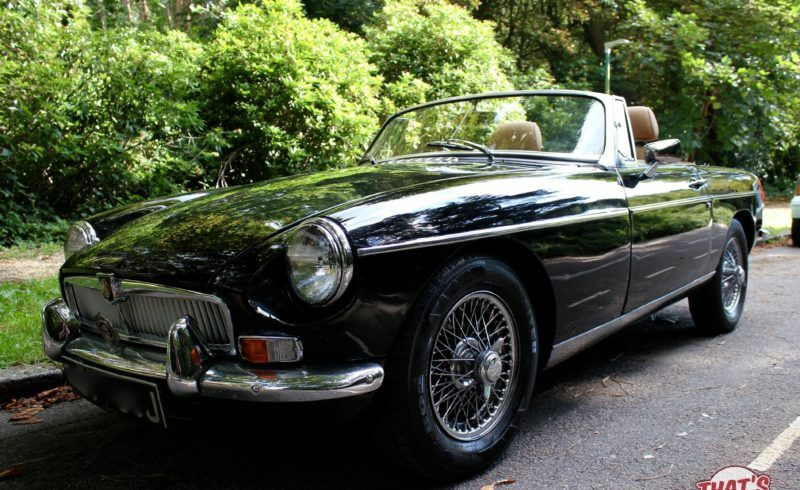 Looking for a MGB Roadster? – The classic saying….”First to see will buy” has never been truer….